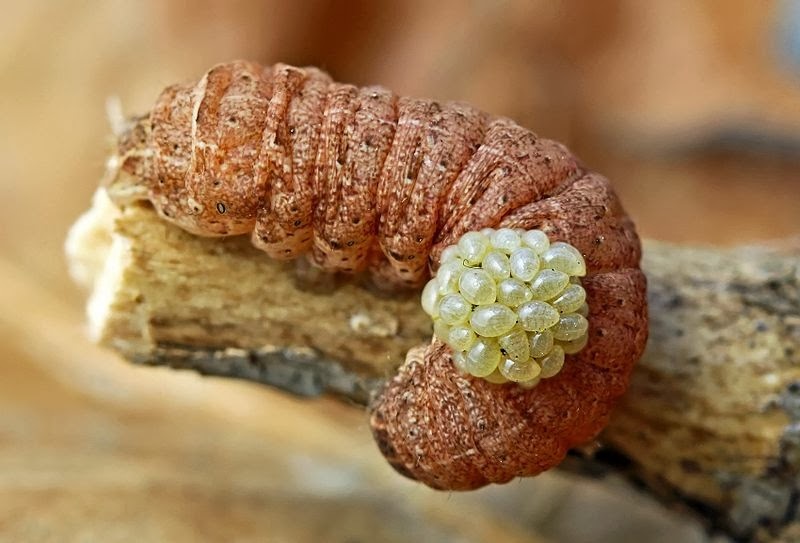 Larvae of Euplectrus on a noctuid caterpillar, from Entomart. Euplectrus is a cosmopolitan genus of wasps developing as gregarius ectoparasites of caterpillars (Bouček 1988). Characters (from Bouček 1988): Pronotum rather short, dorsally with a fine transverse carina. Scutellum lacking longitudinal grooves, sculpture mostly rather fine or almost smooth. Hind tibia with elongate spurs.